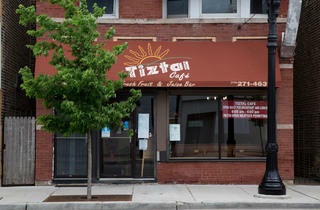 A breakfast and lunch joint, Tiztal focuses on egg dishes and sandwiches with Mexican accents. The plate of chilaquiles is huge, hearty and could easily feed two. Fluffy omelets are stuffed with all kinds of fillings, from a lively ranchero sauce to spicy chorizo. The crisp waffles, while good enough on their own, can be topped with pecans and fruit. But the main attraction is an oatmeal shake, a far cry from the breakfast food. Here, it's creamy and sweet, and we won't judge if you have one at 8am. El stop: Red to Lawrence. Bus: 9, 22, 81. It's not my first time at this place but it will be my last today, the lady that received us at the front door was very rude, arrogant and not a nice person. I asked a simple question, do we need to sign up to get a table, I do not see anything wrong with this question and that did it, she screamed so loud and this restaurant being so tiny everybody heard her and turn their heads to see what was going on........... "there is people in front of youuuuuuuuuuu can you seeeeeeeee!!!!!!!! I kindly asked that if we needed to sign up and if we did for her to write our name, she turned around and screamed even louder that yes we did need to sign up but there was people in the list that was in front of us. Solid breakfast, no doubt. What amazes me most about this space is that my kids attend school across the street, therefore, I pass this place twice a day for at least the last two years. I've never even noticed it. In fact, when it's not open, it appears to be under extreme lockdown. It's not the most inviting curb appeal; however, that doesn't seem to affect the crowds. It was just featured on Check Please so I'm sure that will change the knowledge of this hidden gem in no time. While we were there, there was a constant flow of customers and lines at some points. I've heard service is hit or miss. For us, it was great. We had kids with us and they were patient with us and smart, bringing fruit to the table immediately. I had the Zepher Omelet; which was cheese on top of cheese with more cheese. So yeah, that was pretty good. The potatoes were excellent and of course...the oatmeal shake. My kids went nuts over the oatmeal shake. The food was quality, didn't blow me away, but it was definitely good. 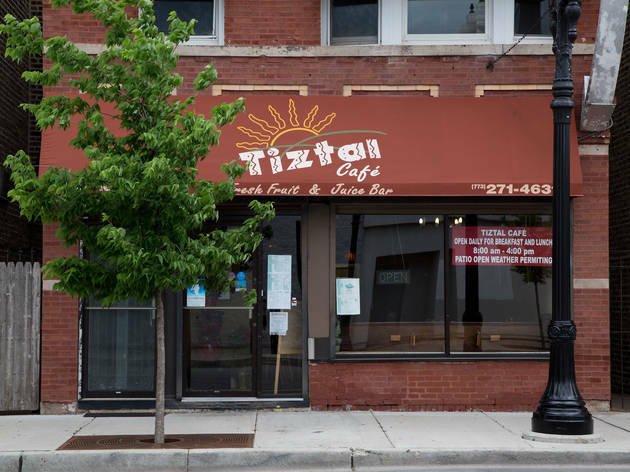 I hear there is a patio out back; which I'm excited to check out once the weather is nice again. One word: chilaquiles. Best I've had in Chicago. An absolute delight.